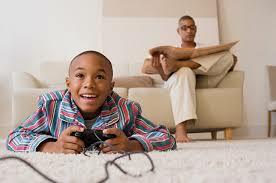 Children Play Gadget More Than 2 Hours a Day, Influence on Intelligence - Naturally if children play gadgets to simply take off after school, or when they are really bored and want to find other entertainment. As for hours of study, playing gadgets also have a time limit. However, it is too free for children to play gadgets, even more than 2 hours a day, certainly can cause bad effects for children. No exception for the physical, brain, and daily sleep patterns of children. Which parents don't want their baby to grow smart? On this basis, researchers from the Children's Hospital of the Eastern Ontario Research Institute in the United States, encourage you to limit the time children play gadgets so that no more than 2 hours a day. Also, make sure the child is getting enough sleep and stays active throughout the day. Yes, the advice came out after researchers looked at around 4,500 children aged 8-11 years, by assessing how much time children usually spend playing gadgets, sleeping, and doing physical activities. As a matter of fact, only about 5 percent of children who meet their daily routine schedule is ideal. Recommendations from the Canadian 24-Hour Movement Guidelines for Children and Youth, which are 2 hours for playing gadgets, 9-11 hours of sleep at night, and 1 hour for physical activities. Interestingly, children who have the ideal daily schedule have superior intelligence than their peers who do not divide the time to play gadgets, sleep, and physical activity. What is the relationship between sleep time and the cognitive function of a child's brain? Jeremy Walsh, as one of the researchers, said that when children play gadgets more than 2 hours without realizing it can indeed reduce children's cognitive abilities. In a sense, children may be more fond of playing gadgets than learning, so automatically their abilities in the academic field tend to be lower than their friends who rarely play gadgets. Also supporting the statement, Eduardo Esteban Bustamante, an assistant lecturer at the University of Illinois' College of Applied Health Sciences, expressed his opinion that the actual time to play gadgets can indeed affect children's brain ability to think. Not only that, the biological clock of a child's body is disturbed, which disrupts his optimal sleep time. According to him, too often and long while playing gadgets can interfere with the recovery process of stress in the body. In fact, this is very much needed in the development of children today, one of which is obtained when the child rests. In essence, one minute spent staring at the gadget screen, has reduced one minute of sleep. Indeed, it's not an easy thing to separate children from their favorite gadgets. However, that doesn't mean it's impossible, right? You still have to work extra hard to give understanding to children about the rules of playing gadgets that are good and right. It's best to limit your child from using his gadget at least 1 hour before going to bed. Emphasize also to reduce the intensity of playing gadgets in a day, but multiply by doing more useful activities. For example, reading books, watching movies about knowledge in a form that is attractive to children, and so forth. Do it in a good way, not seem pushy, but still firm, so that the child can be moved to obey this rule. Apart from that, when children play gadgets is not the only determinant of intelligence. Therefore, your job as a parent is to still guide children to always do positive things that are good for themselves and their future.